The base element of this twelve inch macaron packaging system lends itself to all kinds of personal interpretation and augmentation. 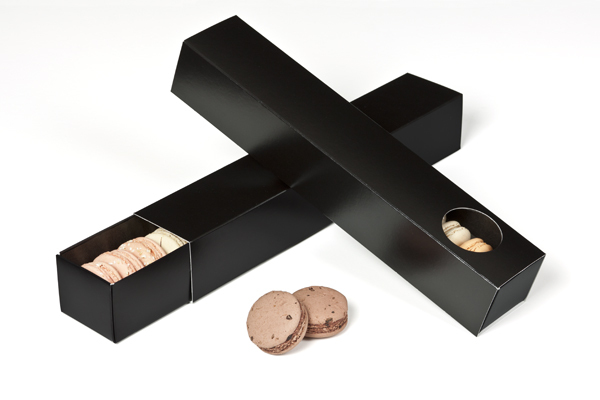 Match it with a black sleeve to feature your macarons in a form reminiscent of a piano's classic black keys. 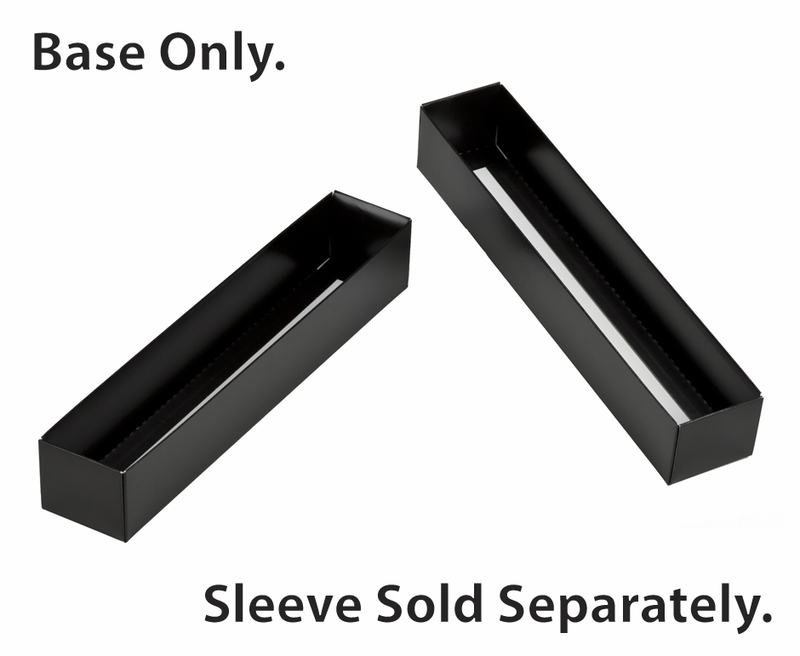 Break up the black using a sleeve of a different color. Whichever you choose, this base provides an elegant and fortified structure for the style of your macarons or miniature cupcakes to speak for itself. 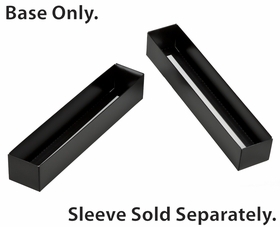 Very sturdy, easy to fold, nothing complicated, solid black with white bottom interior. Love these so much, they work with or without the clear insert for macarons. I don't use the insert when I bake larger macarons. Best UsesMacarons, about 12 depending on the size.